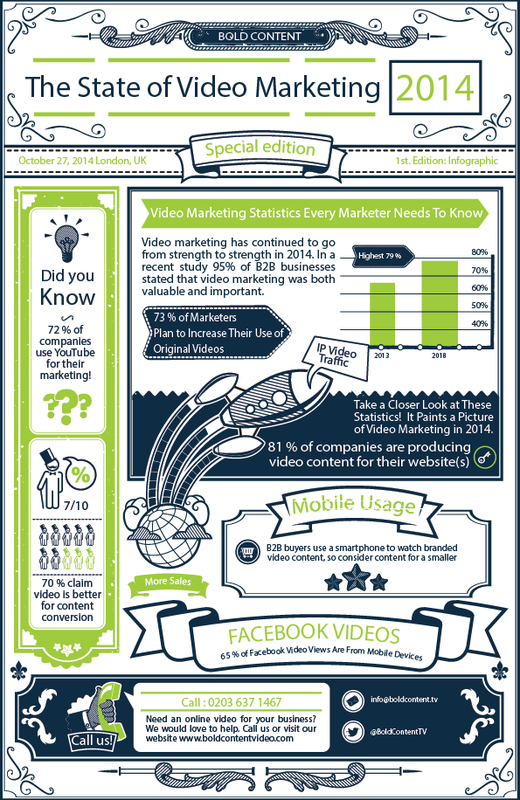 Video marketing has continued to go from strength to strength in 2014. In a recent study 95% of B2B businesses stated that video marketing was both valuable and important. The consumption of video is also on the rise. By 2018 it is predicted that 79% of all internet traffic will be video. A significant portion of that growth is coming from mobile. In fact, mobile now makes up nearly 40% of mobile watch time on YouTube and 65% on Facebook! Another interesting development this year has been the rise of Facebook as a serious competitor to YouTube. Facebook recently stated that the site receives 1 billion views a day of their video content. Take a closer look at these statistics, and others, in more detail to help to paint a picture of the video marketing industry in 2014.